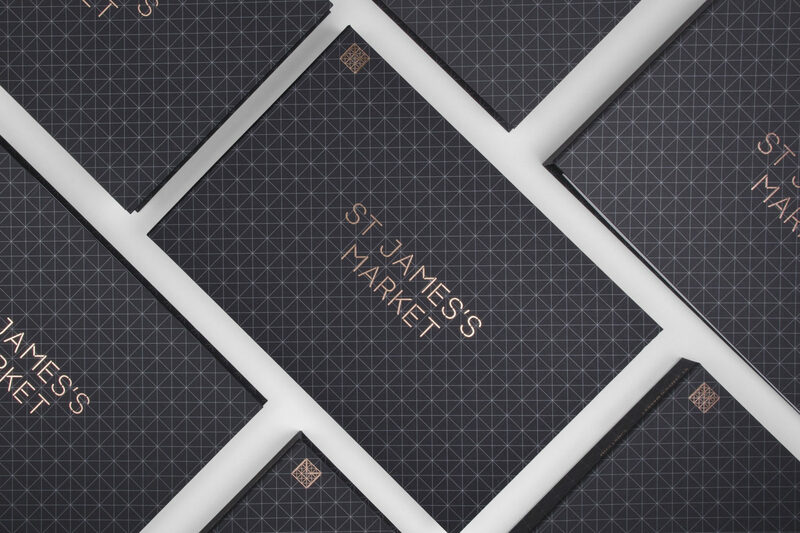 St James’s Market | dn&co. 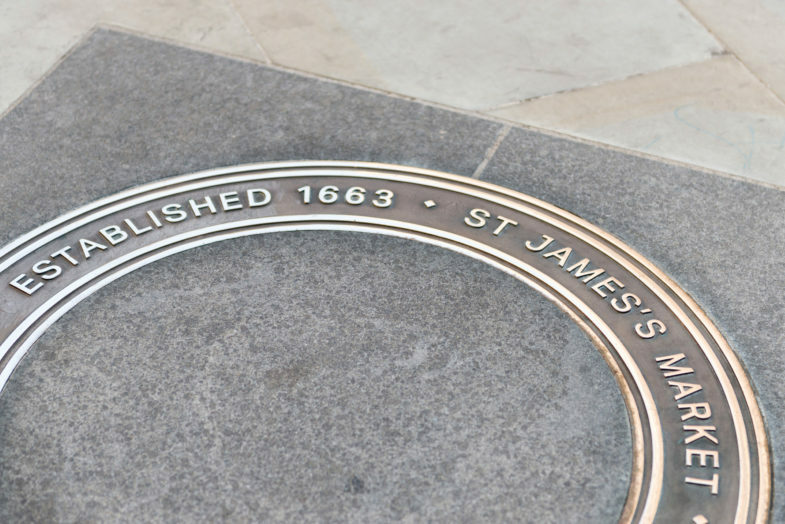 Established in 1663, St James’s Market was a long-forgotten part of Central London. 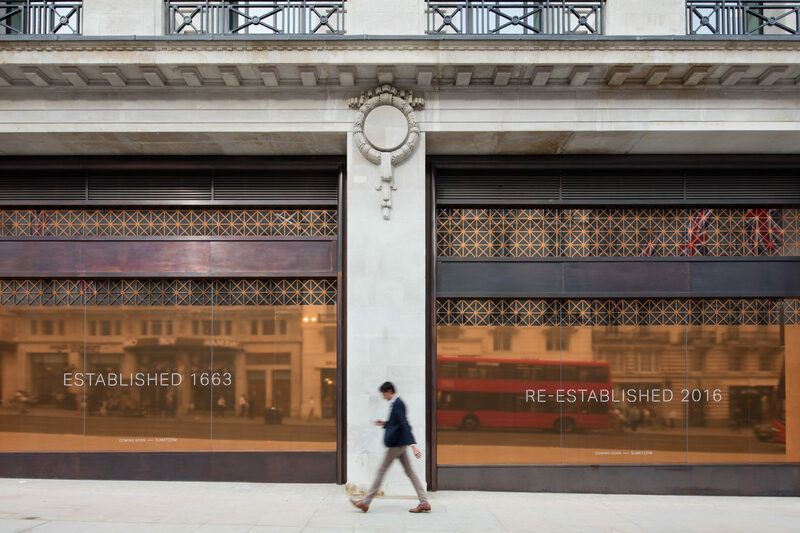 Our placemaking brief was to bring the market back to life. 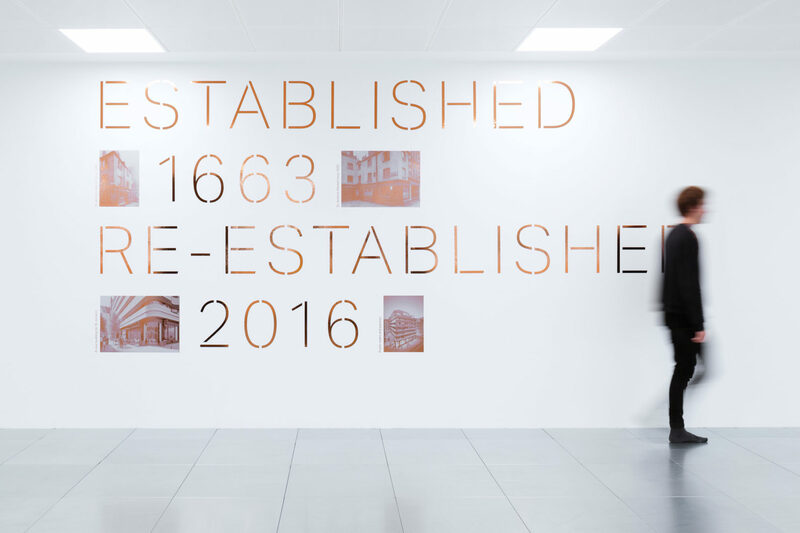 Central to our placemaking strategy, our positioning promoted the evolution of the area’s rich heritage. 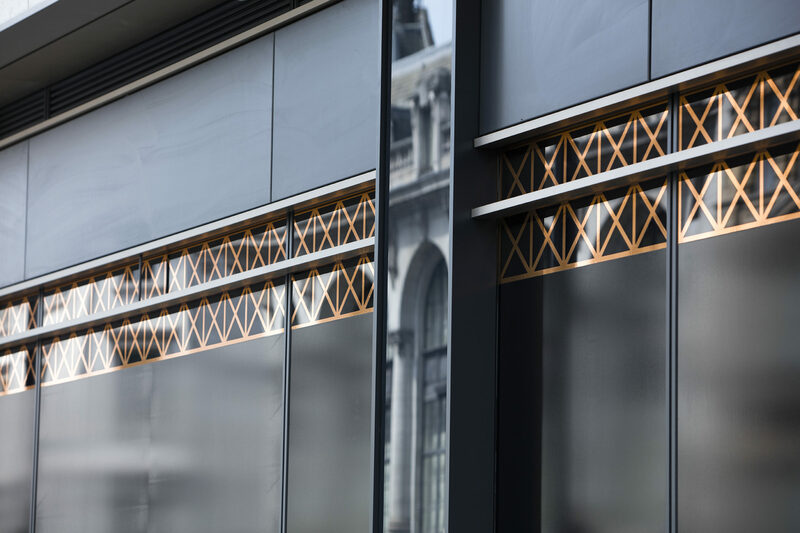 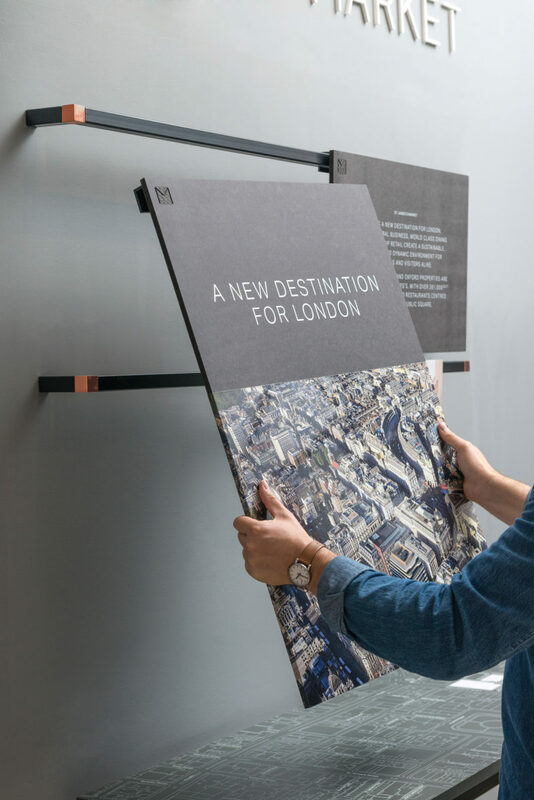 We helped attract seven new concept restaurants from some of the world’s most exciting operators, as well as establish a sweep of new flagship retail — creating a new West End destination. 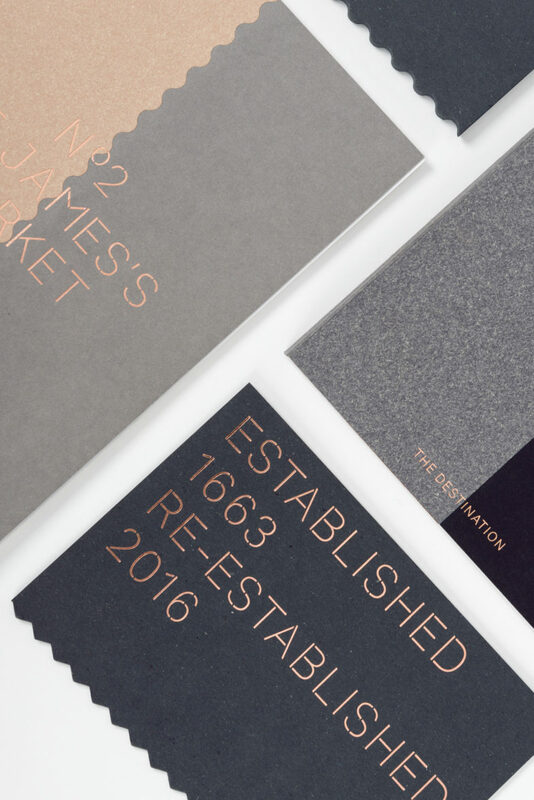 Inspired by vernacular market structures, we created an identity that jumped off the page and into multiple spaces. 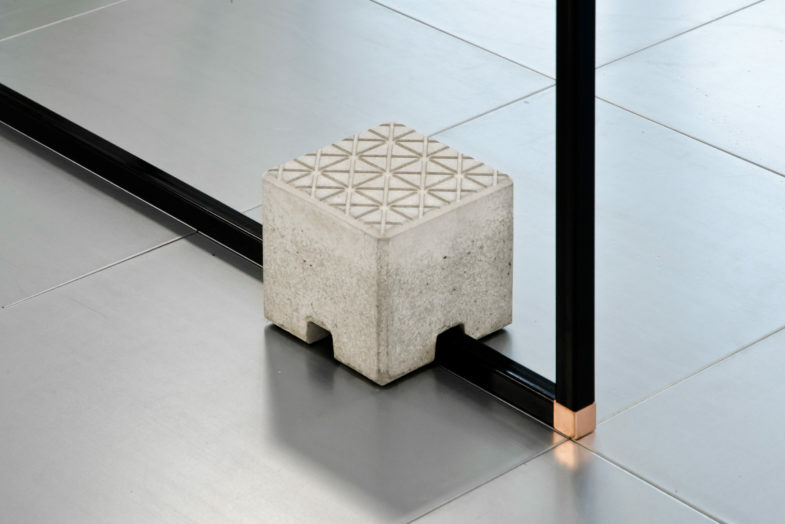 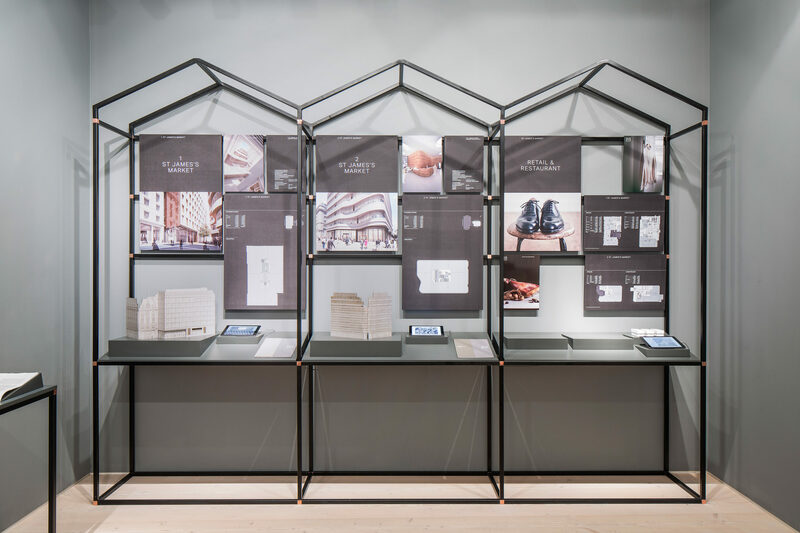 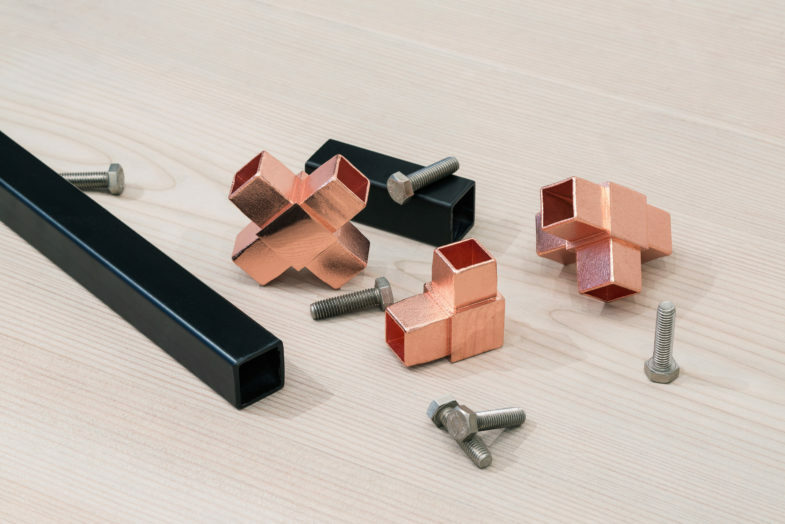 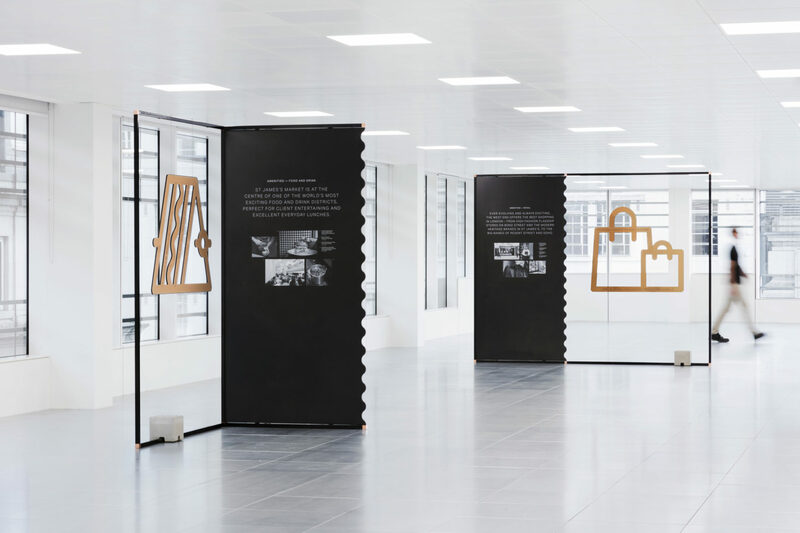 The flexible display system was produced using bespoke copper knuckles, routed MDF panels and cast concrete weights. 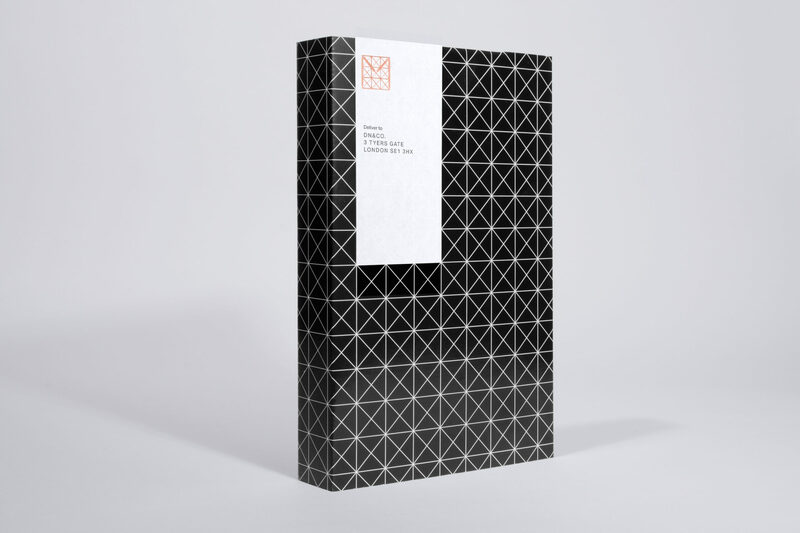 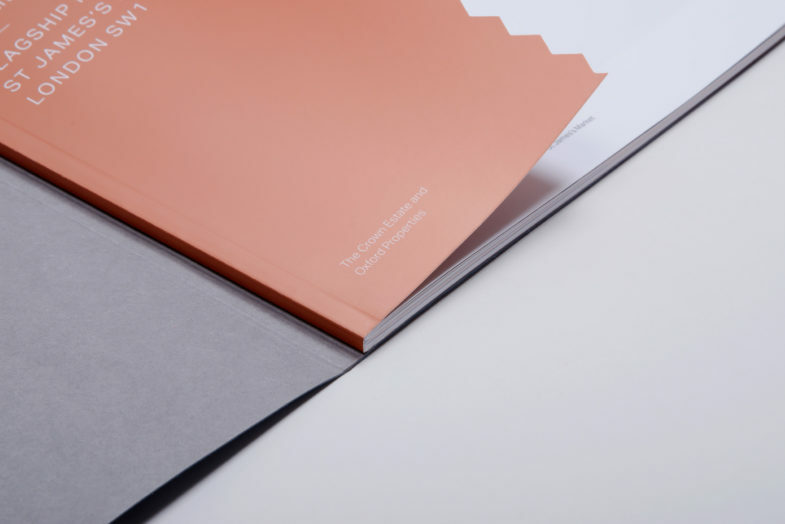 Brochures have a distinctive quarter-binding; the mechanical deckled edge reflects the undulating form of one building and the more rectilinear nature of the other, while the copper highlight echoes signature architectural detailing. 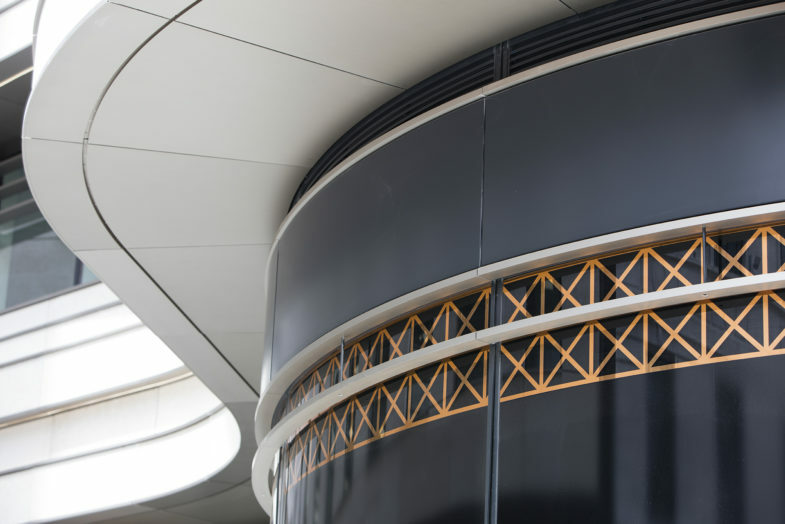 A fully responsive website brings all the details together. 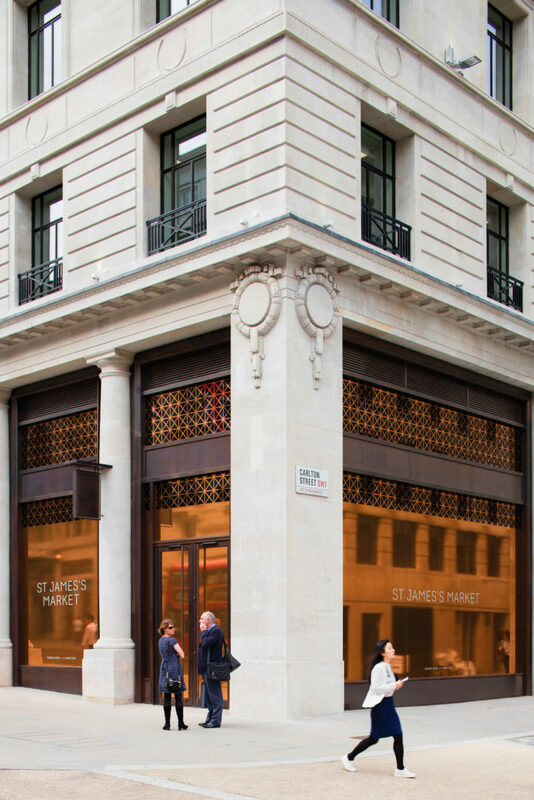 St James’s Market Partnership is a joint venture between The Crown Estate and Oxford Properties. 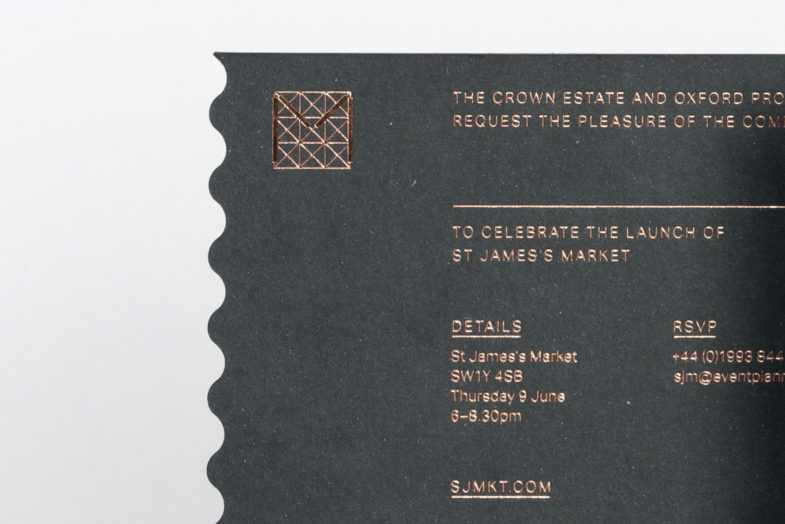 At the centre of the development, an original bronze plaque displays the tagline, proudly announcing the return of St James’s Market.